Here on planet Earth, our resources are limited and how we choose to use them will determine the fate of our civilization. As we learn about the eco-friendliness of our day to day activities, our society comes to see how every decision we make impacts our environment. We understand that the continued sustainability of our community depends entirely on the skills we cultivate. That’s why at Lucidity, we are inviting you to join us in taking on this challenge. Geodesic Domes: Take a minute to reflect on your memories of those sunny afternoons you spent playing on the playground. Do you remember dangling upside down from a half-dome structure made of repeating patterns? Ever thought about what it takes to build those structures? Blood, sweat, and tears. No, not really. All it really takes is a few tools and a bundle of helping hands. The architectural design is extremely sturdy, using repeating patterns to connect an arrangement of poles. 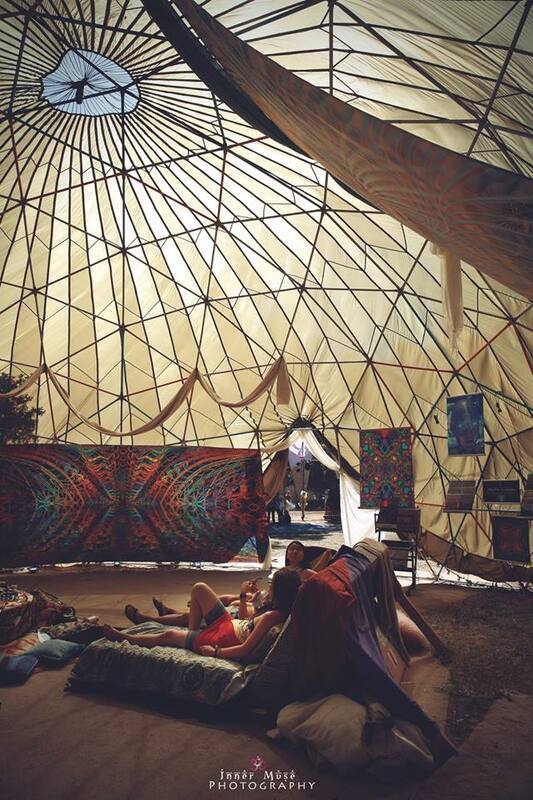 Geodesic Domes are easily built, easily transportable, and can be covered with fabric to create a cozy atmosphere. Yurts: These portable tents are easily dismantled, yet they can be used year-round as permanent structures. Originally used as dwellings by nomads in the steppes of Central Asia, yurts were designed to have their parts compactly carried by camels or yaks, where they could later be rebuilt on another site. Enthusiasts around the globe have adapted the design for different climates and usage, creating alternative features that suite varying locations and purposes. Bamboo shade structures: Bamboo is a sustainable and durable alternative to non eco-friendly materials. It’s light-weight, flexible, and can be easily transported. Bamboo regenerates easily, meaning that its usage helps prevent deforestation. When you’re lounging in the shade during this year’s festival, think about Lucidity’s core values of environmental and social responsibility. Tiny Houses: This project uses recycled materials to build portable homes! Containing only the bare necessities, tiny houses are the latest and greatest mobile home design. They generally include a kitchen, sleeping loft, storage closet, and living room. However, new designs aim to introduce compostable toilets, solar power, and a rain collection system. Tiny houses can be hitched to the back of a trailer, unhitched to remain in a stationary location, and are 100% legal to live in. Come check out this futuristic innovation in Lucidity’s Nomad’s Nook this year! A special gift back to those in need, The Nomad Nook’s Tiny House will be donated as a permanent home after its appearance at Lucidity. Where do you see yourself living ten years from now? No matter where we choose to reside, each one of us has a direct impact on our environment. Learning about alternative ways to utilize Earth’s materials will teach us how to build a more sustainable future for our children and our children’s children. When we learn to reuse what should not be wasted, we remember the benefits of living minimally. We remember that we do not need as much as we use. Alternative Festival structures show us that another way of life is possible, where our worth is not determined by the grandeur of our assets, but by how we choose to give back to our environment. At the Crossroads we’ll find the opportunity to make changes in our personal lives. This transitional period allows us to re-shape our perspectives in pursuit of a higher meaning. Learning about the inner-workings of alternative festival structures shows us just how possible solutions are when we combine our creative and kinetic energies. A glamorous mini-mansion may seem like the perfect way to measure self-worth, but the sad fact is that false security melts. On the other hand, connecting with a community that loves you with some sweat and ingenuity can facilitate personal growth, which is essential both in strengthening your existing skills and in developing new ones. Come to learn about sustainability. Come to grow together, both a community and an individual. Know that your work can also be your play. 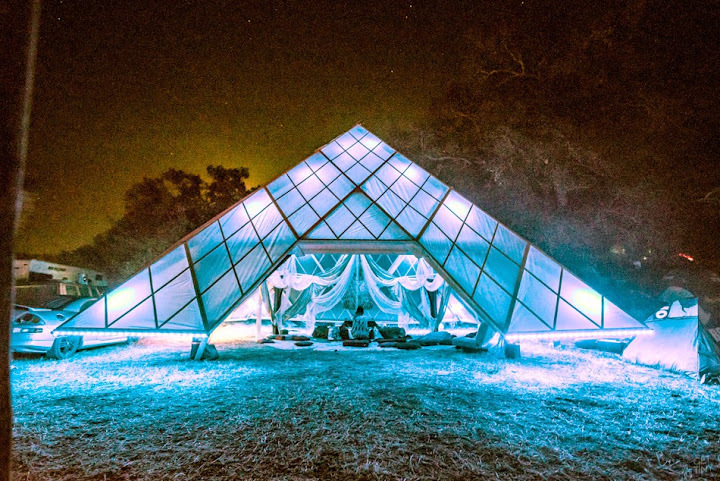 Moreover, we want you to understand that sometimes giant igloo mini-mansion castles melt in the sun, but at Lucidity, you can rest in a far out festival structure and for a little while call it your home. 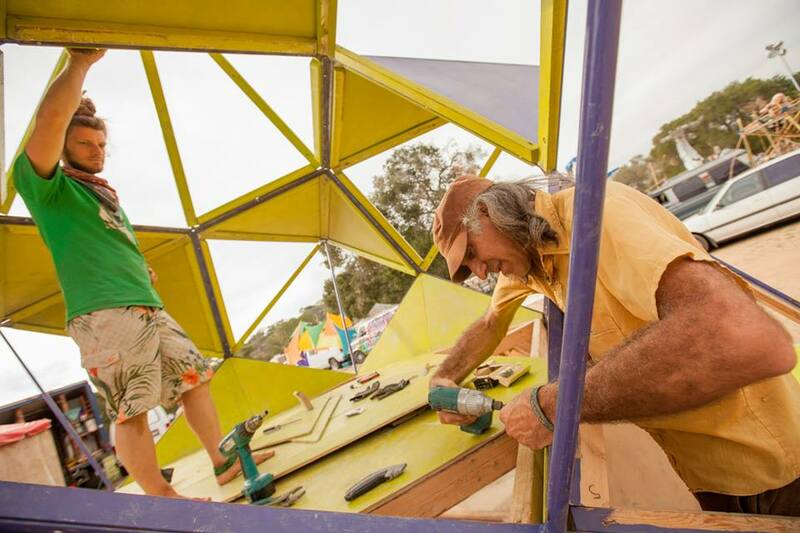 Are you interested in learning more about what it takes to build alternative structures? Tell us in the comments below.